Click the button below to add the Pinnacle Softside Waterbed to your wish list. The Pinnacle water bed mattress features a plush, pillowtop, natural lambs wool, and a soft Euro-Damask cover which adds and elegant look and feel. This state of the art sleep system will keep you cool in summer and warm in winter, and features our unique design to ensure your sleep enjoyment year after year. The Pinnacle supports the head, neck, back, spine, and hips which reduces tossing and turning and helps you sleep better all night long. The foam perimeter comes with a lifetime guarantee, and keeps the bed extra sturdy. The optional solid pine foundation is hand-made. 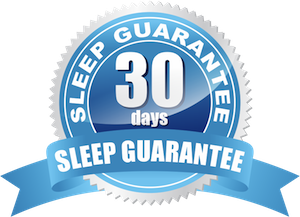 We also recommend that your purchase a heavy-duty steel waterbed frame. A properly designed frame is very important to support and distribute the immense weight of a waterbed. Mid-Fill chambers are 6-inch depth chambers. Deep-Fill chambers are 7-inch depth chambers. Important Note: Dual-Chamber Fluid Chambers are only available for Queen and King size waterbed mattresses.